UPFA Parliamentarian Wimal Weerawansa has been sworn in as the Minister of Housing and Social Welfare. 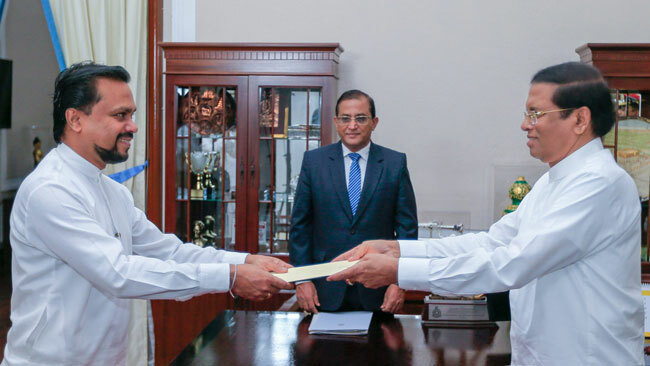 He took oath before President Maithripala Sirisena at the Presidential Secretariat in Colombo this morning (9). Secretary to the President Udaya R Seneviratne was also present on this occasion, the PMD said. Weerawansa had also served as Housing Minister under the government of Mahinda Rajapaksa.